Start the registration process as usual. 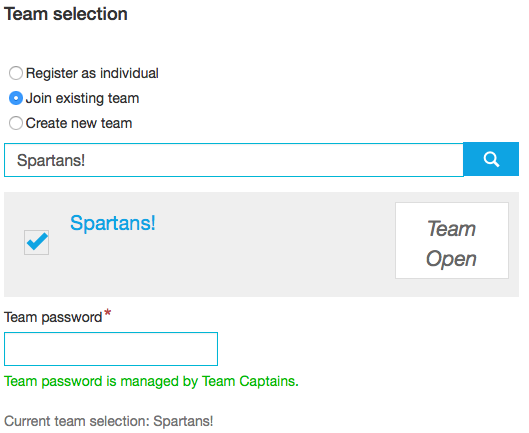 Be sure to select the time block in which you would like your team to run. Racers can only join teams that are set up for the time block they are registering for. Start the registration process as usual. Be sure to select the time block that you're team is signed up for. Racers can only join teams that are set up for the time block they are registering for. Racers that are registered for Sunday will not be moved to Saturday with a team, or vice versa. How to join a team already registered? 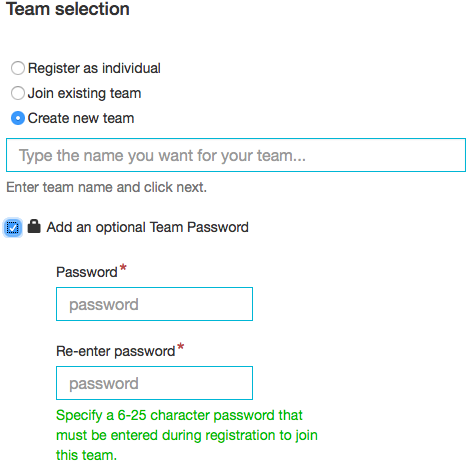 How to register as a team ?